The 8th of March — International Women’s Day. Congratulate your charming lady and take a trip to Dubai together. Appreciate the holiday and do not forget about the job. Telematics Conference Middle East & Africa will bring together 150+ participants and 15 exhibitors from all over the Globe to give your business a boost or fresh ideas. Got to be there! Dubai scene you should be in! One of the biggest telematics events in the Middle East and Africa that will show its worth for the third time. Find your business opportunities in the area of telematics, transportation and logistics. See the latest developments and trends from hardware manufacturers and software providers. Navixy is one of the 15 exhibitors — booth #3. 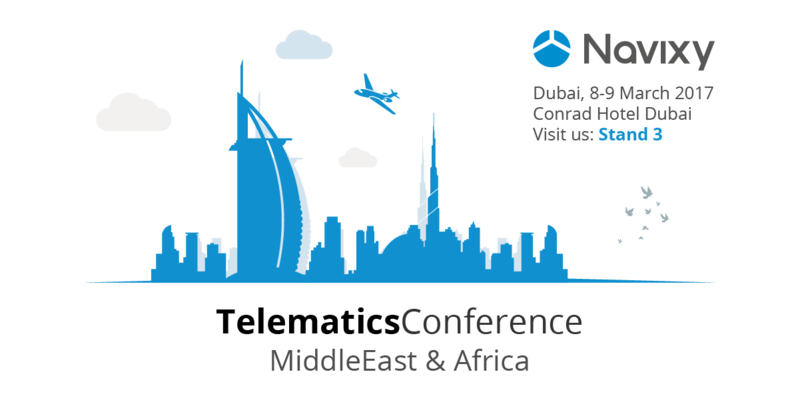 Telematics Conference Middle East & Africa, 8-9 March 2017, UAE Conrad Hotel Dubai.